Bobby is eleven years old and is in 6th grade. His parents have been together for over 13 years, but have always had a very hard relationship. They managed to stay together for Bobby and his sister, thinking it would benefit them. However, they have trouble being around each other and fight constantly. When they start fighting, Bobby and his sister run to their room and he tries to occupy his sister to distract her. Bobby has recently noticed more and more yelling between his mom and dad and he doesn’t know what is happening between them. Just last week, Bobby's parents told his sister and him they are getting a divorce. Bobby is scared and sad because he is used to having both parents at home. He is trying to figure out what to do, and how can he deal with such a new reality. 1. Can Bobby understand the reasoning behind his parents separation? Do you think he blames himself? How would you feel? 2. Do you think Bobby can try to convince his parents to stay together? Should he try? 3. What are the pros and cons of his parents getting divorced? What could be positive about it? 4. How might the divorce change Bobby's relationship with his parents? 5. What could his parents do to make this easier for Bobby? 6. What other emotions do you think Bobby is feeling? Should he talk to someone about them? Who? ** Studies reveal that children who are raised in a two person, loving, and stable environment show less signs of depression, anxiety, and defiant behavior and these children also have better academics and develop the capacity for truly intimate relationships. Children raised in a stressful and conflicted marriage are more stressed, have more defiant behavior, and have more disciplinary problems than children raised in a stable divorced or stable single parent home. ** Studies also have shown that children can do better when their parents get divorced. Sometimes they live a healthier life than when their parents lived together in a continuous state of conflict, instability, argumentation, hatred, and uncertainty. ** Many people marry out of love and divorce out of anger. Unfortunately, children become the victims of marital war. Regardless of the decision, it is important to remember that when children are involved – both parents will be involved in some capacity for all of the activities, decisions, and emotional consequences that affect the entire family moving forward. ** The goal of any decision is to develop a cordial and harmonious relationship with a partner. And that is always in the children's best interest. ** Divorce can be an emotionally exhausting experience. It is important to take into account how the stress and heightened emotions can affect everyone in the family, especially the children. What Mentors Can Do to Help With This? ** Talk to your mentee and help him/her understand the pros and cons of a divorce. Try to see the divorce from the perspective of everyone involved so your mentee can have a better understanding of why this is happening and that it is not because of them. ** Make sure that the mentee understands that this decision to divorce is not something that is under his/her control, but that he/she should talk to his parents about how it is making him/her feel as a part of the family. ** Explain to the mentee that parents staying married only because of kids can result in an overall bad experience. ** Try to be a source of stability during a potentially stressful, sad, and confusing phase in your mentee’s life. ** Allow your mentee to talk to you about the situation and try to just listen and comfort rather than fix. Remind them that you are a safe person to talk to and acknowledge how hard this must be for them. ** If you have personal experience with divorce share it with them so they know they are not alone, but be appreciative of how their experience is different and highly personal. ** Check out this website for a good source of information on how parents can make divorce an easier experience for their children. Labels: Divorce, fighting, Parents, What do you think? Megan is so excited to go to the big football game this Friday. It is the championship game against the rival high school. She and her best friends have decided to wear the school colors and even paint their faces! That is all everyone is talking about. But when she gets home Friday after school she is confronted by her parents in the kitchen. They have her progress report and see that she is not doing well in school. Megan’s parents tell her she is grounded and can not go to the football game tonight. Megan runs to her room and starts crying. She calls her best friends and tells them she won’t be able to go to the game. They are all bummed out. The game has started and she is home just staring at the wall. Megan’s friends text her that the boy she likes is asking about her, wondering where she is. They tell her to sneak out because her parents won’t notice. Megan gets ready, and climbs out through her window. 1. What would you do? Sneak out or stay in your room? Why? 2. Do you think if Megan talked to her parents about how important the game is to her they would understand and maybe come to an agreement? Or is sneaking out the only option? 3. Imagine Megan’s parents finding out that she is gone, how do you think they are going to react? 4. Will they be able trust her again after she sneaks out? 5. What are some consequences that can arise from sneaking out? Could Meagan’s life be in danger? ** The curfew for minors (under 18 years old) is 10:00 pm. ** If a minor breaks curfew, he or she can be temporarily detained by police and returned home. You can also be fined $80.00 and/or receive eight hours of community service. ~ To hang out with friends. ~ To go to a party or event. ~ For the thrill of it. To defy their parents; which might seem cool. What Can Mentors Do To Help Prevent This? ** Talk to your mentee about sneaking out at night, even if you don’t think he/she would do it. Make sure they are aware of the curfew laws and what would happen if they got caught. To view the local curfew laws & consquences, click here, and scroll to pages 3 and 4. ** If they are sneaking out ask them why they do it and see if there is a better way for them to achieve their goal without breaking their parent’s trust and the law. Share your own experiences, if applicable, and what you learned from them. ** Consider with your mentee the consequences of sneaking out (i.e. grounded, phone taken away) and how the parents will react. Even share how you would feel if they snuck out. ** Explain the dangers of sneaking out (getting arrested, kidnapped, hurt while their parents don’t know where they are etc) and that you want to make sure they are safe. ** Tell them they should try to talk to their parents and come to a compromise. Role play how that conversation might go so they feel comfortable having that talk with their parents. Labels: football, friends, Parents, peer pressure, sneaking out, What do you think? Pedro is 15 years old. He is the only child of divorced parents, and he can’t wait to turn 16 and be able to get his driver’s license. Pedro lives with his dad, who is usually very busy with work, and he keeps promising to give Pedro some driving lessons, but never has the time. Most of Pedro’s friends have already started learning the basics of how to drive, and constantly share how exciting each practice has been. Pedro feels left out, and although he has never driven a car, he has been reading the DMV driving manual, learning the street signs, and getting driving tips from his friends. Pedro is impatient with the situation and is thinking about taking his dad’s car out for a ride because his dad is traveling for work and will be away for a couple of days. Pedro’s friends guarantee him he will be fine and keep saying he should drive them all to a friend’s house that weekend. 1. What would you do if you were Pedro? 2. How would his dad feel if he found out about it? What are the possible consequences of Pedro borrowing a car when he has no practice driving, or permission to do so? 3. How much trouble could he get in if he was caught? Would he be the only one who got in trouble? 4. How would he feel if he damaged the car, got hurt, or hurt somebody else while driving? 5. What would be a different option for Pedro and his friends to get to his friend’s house that weekend? • Anyone under 18 but at least 15 1/2 years old must first apply for a provisional learner's permit. Teens need to get written permission from a parent or guardian on state forms to receive a permit. Teens must also pass a vision test and a traffic laws and sign test, and have completed, or be enrolled in, driver's education. There are three chances to pass the traffic and signs test, and if you fail, you must wait seven days to take the test again. An adult 25 years old or older with a California driver's license must accompany you whenever you drive. • Driving without a license is a misdemeanor offense in California and can result in a fine. Police may also tow and impound the car. A minor caught driving without a license also will be delayed in being able to get one. According to California state law, an employer, legal guardian or parent also could face legal trouble if he permits an underage, unlicensed driver to drive. ** 16-year-olds have higher crash rates than drivers of any other age. ** 16-year-olds are 3 times more likely to die in a motor vehicle crash than the average of all drivers. ** 63% of teenage passenger deaths in 2008 occurred in vehicles driven by another teenager. Among deaths of passengers of all ages, 19% occurred when a teenager was driving (IIHS). ** Hand-held cellphone use while driving was highest among 16- to 24-year-olds (8% in 2008, down from 9% in 2007). ** 37% of male drivers ages 15-20 who were involved in fatal crashes were speeding at the time. **55%, or 2,014, of the 3,678 occupants of passenger vehicles ages 16-20 who were killed in crashes were not buckled up. ** Educate yourself on the topic, so that you can be a good source of reliable information for your mentee. ** Talk about this topic with your mentee. Make sure your mentee is aware of the risks involved in driving, as well as statistics. Educate them about risks and penalties resulting from underage driving. ** Ask their opinion on the matter. Talk about their friends’ opinions as well. 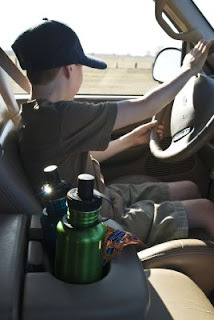 ** Give tips on important driving skills, which they might find fun and helpful before they are able to start driving. ** Know that happens and accidents can result. Read a short article about a true story. Labels: driving, peer pressure, underage, What do you think? Marina is a 6th grader and recently she has been getting in trouble at school for fighting with her classmates. When she was younger her parents used to fight constantly and her father struggled with alcoholism. He used to yell all the time and once he even hit her mother. But last year he got sober and is trying hard to mend things with his family. Although Marina likes seeing her mother so much happier and wants to be a close family again she can’t stop feeling angry at her father for what he put them through. When she is at school she gets along well with her classmates and has many friends, but if things aren’t going her way or someone says something she doesn’t like she blows up and can’t control herself. Because of this she has been in several fights during and after school and is in danger of suspension or even expulsion. Marina knows she needs to stop fighting but she doesn’t know how to control herself and that only makes her angrier. 1. How do you think you would feel if you were Marina? Why does she fight? 2. What do you think she could do to control her anger besides fighting? Is there anyone she can got o for help? 3. What might happen if she doesn’t learn to manage her anger? 4. What could her parents or teacher do to help Marina? 5. What would you do if you were Marina’s friend? ** Anger in children is their way of telling us that there is something wrong, usually that a goal is blocked or needs are not being met. ** According to research (Fabes and Eisenberg, 1992) anger has three main components: the emotional state itself and physiological response, the resulting behavioral expression of anger, and the person’s understanding of their anger. Learning to manage anger effectively starts with an understanding of these three aspects, and children need extra help because they are just starting to learn about emotions and often have a limited ability to think critically about their own feelings and behaviors. ** Learning to deal with anger in a productive way is extremely important because people who are often angry are at an increased risk for a huge variety of physical ailments including high blood pressure, heart attacks, gastrointestinal problems, diabetes, and high levels of stress. In fact, chronic anger can shorten your lifespan by as much as 10-20 years! ** Chronic anger is also a leading cause of workplace dissatisfaction, depression, insomnia, anxiety, relationship problems, low self-esteem, and substance abuse. ** Anger, and the behaviors associated with it, is one of the many things children can learn from their parents. Children of an angry or abusive parent are 10 times more likely to be angry and abusive themselves! ** The frontal lobe is critical in managing anger and that part of the brain is not fully formed until about 24 years of age. This explains the difficulty children and teens have in regulating their emotions and shows why they need extra guidance to help them do so effectively. What Mentors Can Do to Help Prevent This? ** The best thing to do is to talk with your mentee about emotions in general, and about any anger they might be experiencing to try to help them understand the three components mentioned above. Depending on the age of your mentee you may have to spend more time simply educating them about emotions: the different types, what they look like, what they feel like, what you can do if the feel each one etc. But once they understand more about emotions you can talk to them specifically about ay anger they might have felt or be feeling and start explaining the 3 parts. ** The first component, the emotional state of anger, is the moment when someone becomes angry and feels the physical symptoms such as teeth grinding, fists clenching, flushing, paling, prickly sensations, numbness, sweating, muscle tensions and temperature changes. Many children don’t know or understand their physical reactions and they might make them more upset or agitated, so explain to your mentee what is going on in their body when they feel anger. ** Then you can touch on the second component, the behavior expression of their anger, and talk to them about what they did when they got angry. Did they react aggressively with angry words or even physical assault, or did they react passively by running away, sulking, bottling up their anger, seeking adult comfort etc? Let them talk openly and without judgment about their anger and subsequent behavior, and let them know that anger is a normal emotion and they should not be embarrassed or ashamed. You just want to help them handle it in the best way possible for their health and happiness. ** Then you can move to the third component, self analysis and understanding. Start helping them think critically about their anger and how they deal with it. ~Why are they really angry? What goal is being thwarted or need not being met? For example, if Marina is angry because a girl said something mean about her mom she is angry at that girl for not meeting her need for respect from her peers. But she is also angry at her father for years of not meeting her needs of safety and parental love/warmth. Obviously the first is a little easier to deal with than the second but understanding why she is angry is the first step. 1. The best response is to talk with someone they trust about their feelings and try to be as rational as possible to come up with a solution to what is causing the anger. But if they can’t handle their anger while talking or need tips to cool down in the moment these next one will be more helpful. 5. Meditate or think of something nice that you enjoy. 6. Exercise or play a sport, or just get up and run around a little bit. 7. Teach them to keep a journal where they can write down all of their anger and get it out of their head. 8. Do art (drawing, painting, music etc) to help them express their anger in a creative way. 9. Have them release their anger into a pillow by squeezing, punching, or yelling into it. But don’t encourage lots of aggressive behavior as it will only help them practice a negative response. ** Let them choose which one of these responses they would like to try next time they get angry and practice it with them. If it doesn’t work for them try a different one until something works. Labels: abuse, alcohol, anger, anger management, family, fighting, school, What do you think?